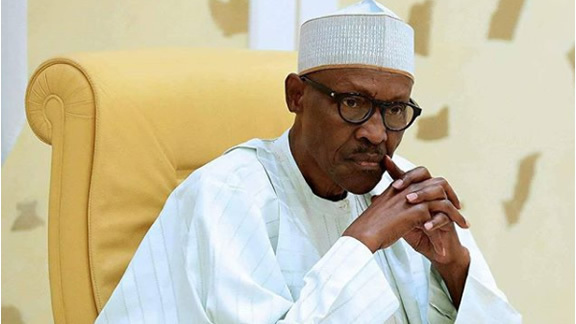 President Muhammadu Buhari will consider his state of health before taking the decision on whether to seek re – election in 2019 or not , his Special Adviser on Media and Publicity , Mr. Femi Adesina, stated in an interview on Sunday. Buhari had a serious health challenge in 2017 that made him to seek medical attention outside the country twice . On his return to the country after his first medical trip, the President stated that he had never been that sick in his life. While answering questions on Buhari’s health status and his seeking re – election in 2019 , Adesina said the President would not do whatever he believed his health could not sustain. Adesina said , “ The President is not a frivolous person . If he thinks that his health cannot carry anything, he will not do it . “ Every day you see the President , you see a glow about him and you see freshness about him. I think he is even in a better state than when he came in 2015 . It’s all to the glory of God. The presidential spokesman urged Nigerians to wait for the President to tell them his position on the second – term issue. On a recent media report that Buhari has re -appointed the Minister of Transportation , Rotimi Amaechi, as the Director – General of his campaign organisation , Adesina said such an appointment could only be made after a candidate had emerged . “ I believe that things like the DG will come when you have become a candidate . If the President steps into the fray now, he is an aspirant just like any other aspirant . Having a DG comes when you become a candidate of the party ,” he argued. He claimed Buhari had done more than enough to seek re – election, saying “The things he has done are apparent : security , despite the challenges of the moment , you can’t rule out what he has done in security. “ Economy went into recession, stayed there just for one year, it has come out and the indices are good . Even the World Bank has projected 2 .5 per cent growth for Nigeria this year. He reiterated Buhari’s promise to deliver free and fair elections to the country, stressing that the President fulfilled the promise in all the elections conducted under his watch . “ You would have noticed that since this government came , there have been elections the APC didn ’t have to win . You saw Anambra . You saw a senatorial election there . Some months ago , in November , you saw the governorship election. If APC had wanted to overrun Anambra , using federal might , it would have done that to win the election.